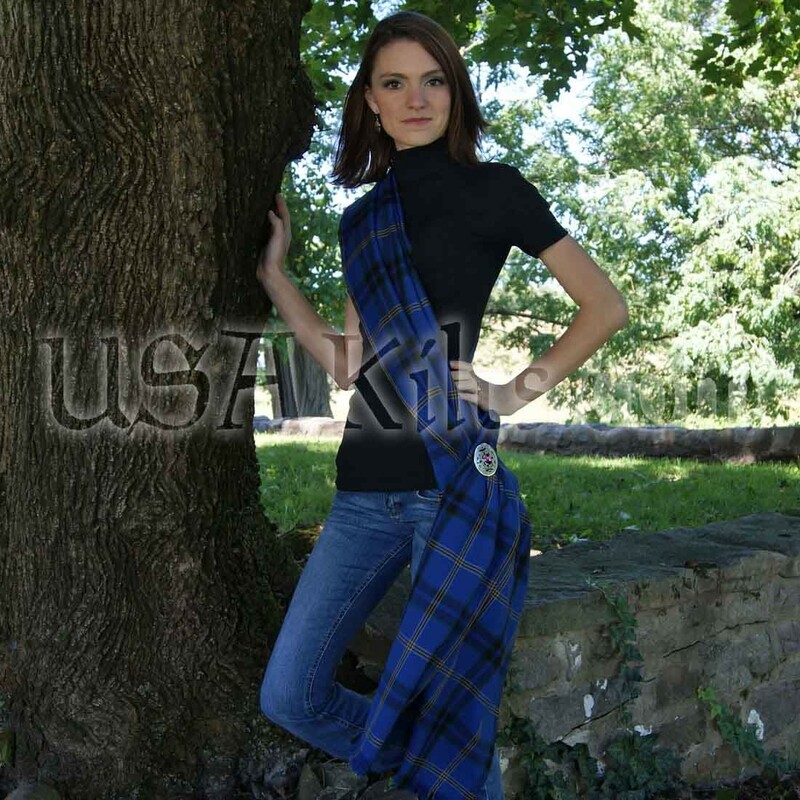 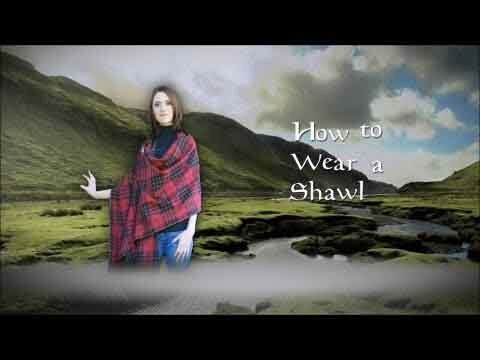 This PV Tartan Shawl measures 24 inches by 90 inches. It comes with fringed ends (1 1/2" fringe) and sides (1/2" fringe), to allow it to more naturally drape when doubled over as a shawl collar. 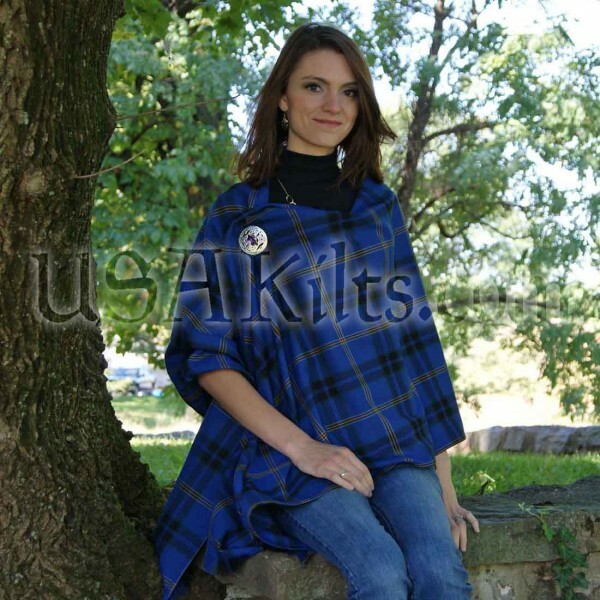 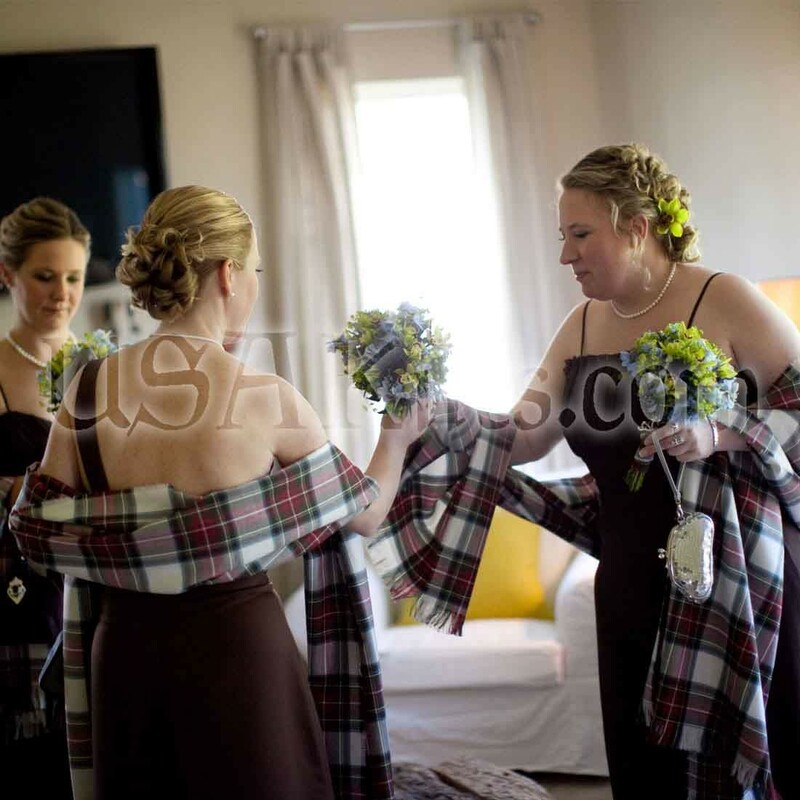 I ordered the shawl for my wife to match my family tartan/kilt (MacDuff Mod), my wife loved it along with the interlocking hearts broach.